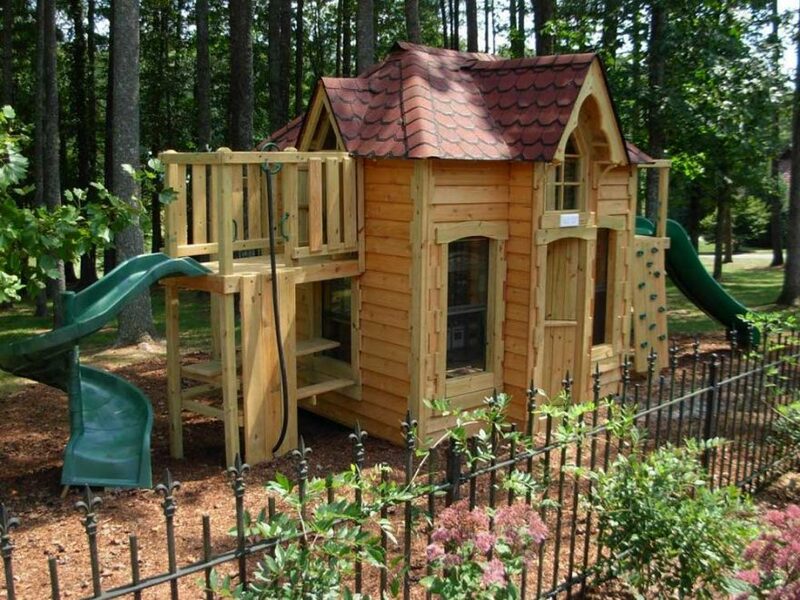 to come up with elegant themed playgrounds. 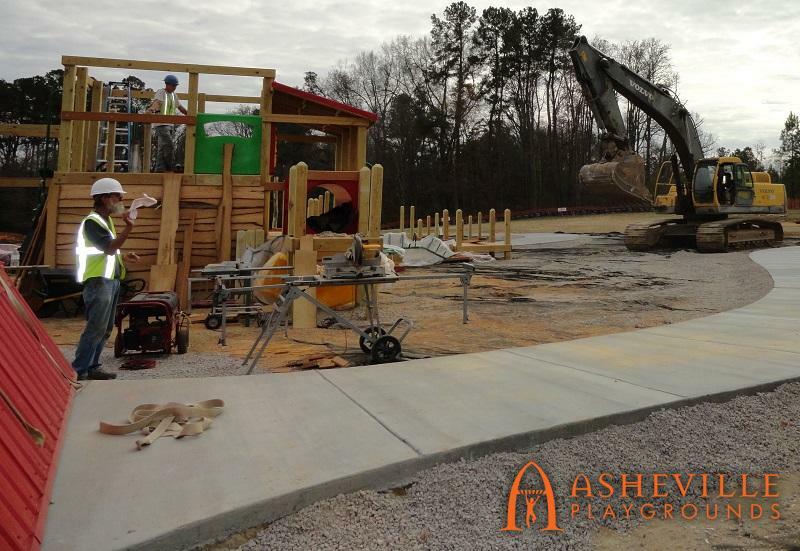 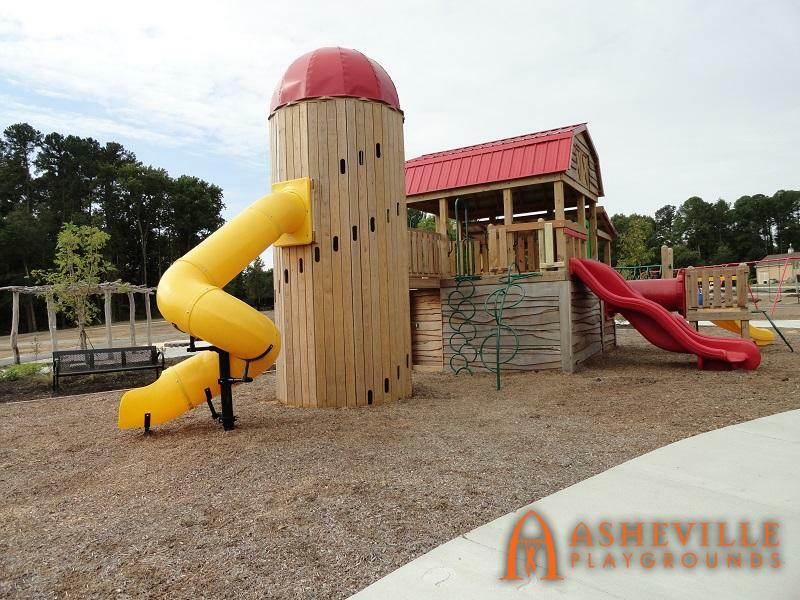 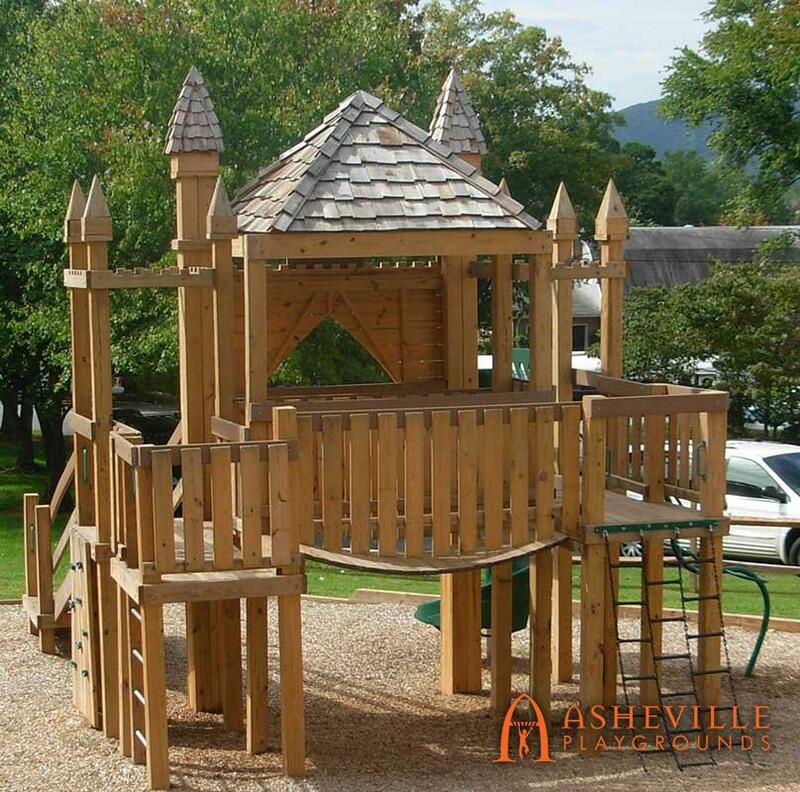 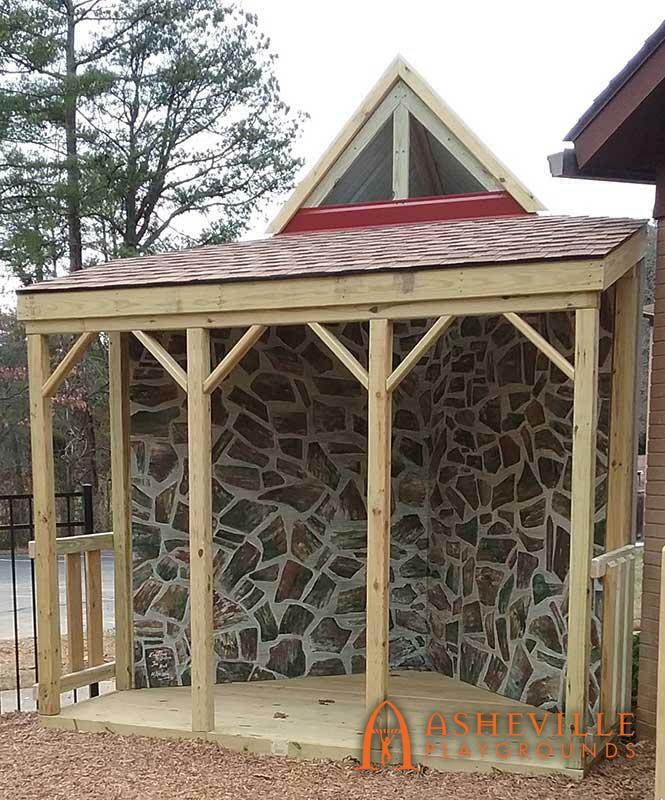 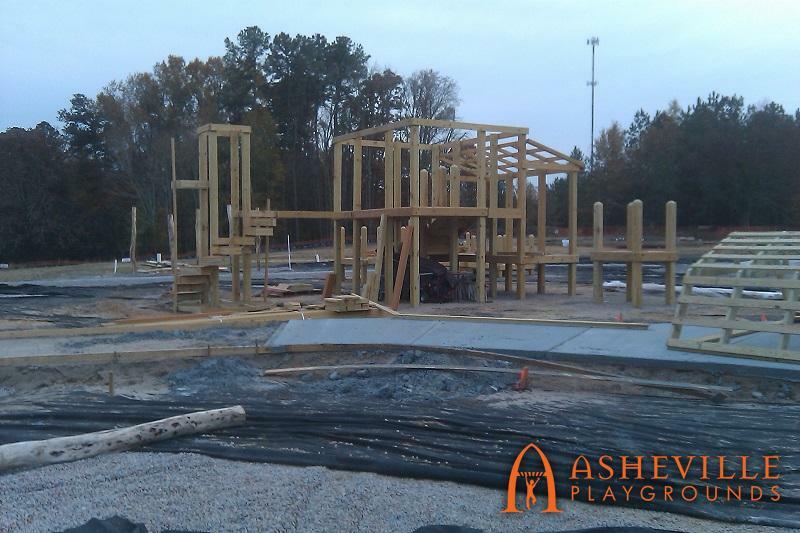 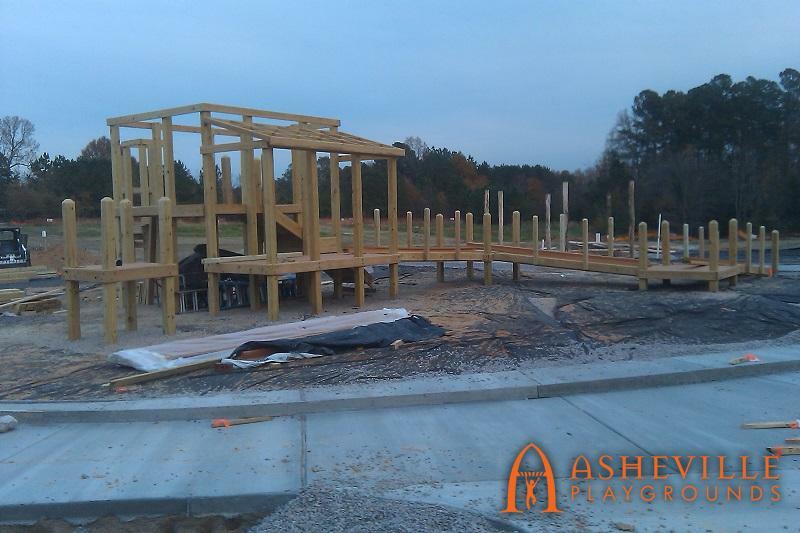 At Asheville Playgrounds, we specialize in creating unique themed playgrounds. 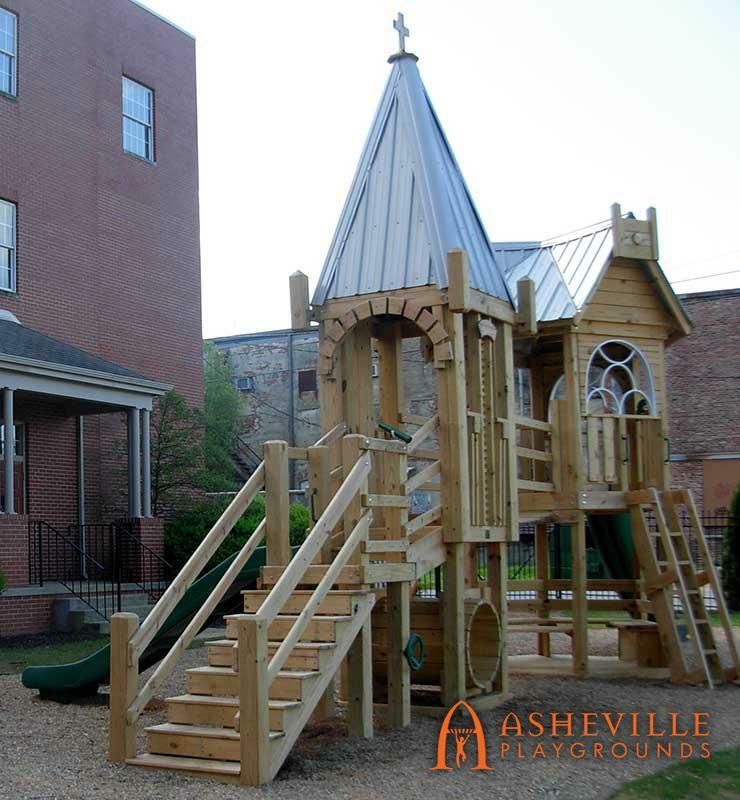 We use the history of the community or a significant architectural feature as the starting point. 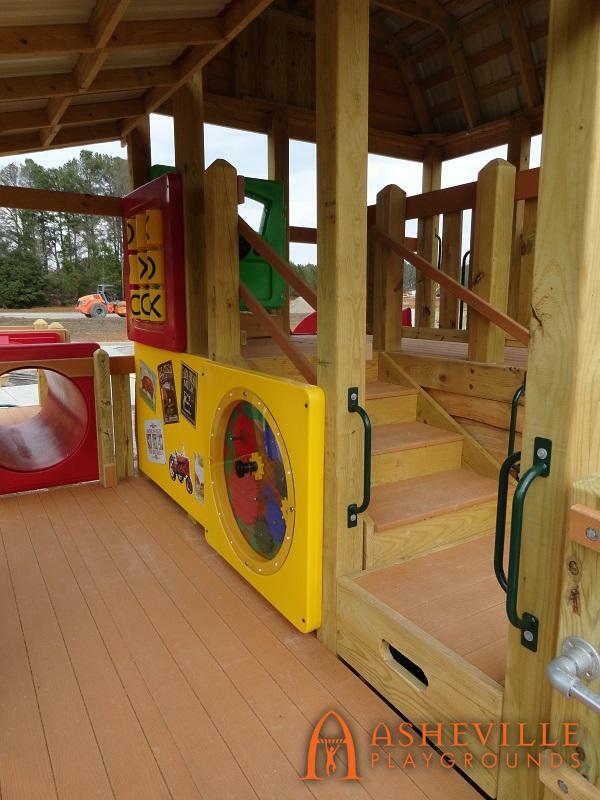 From there we design a themed playground that engages the imagination of children and adults alike. 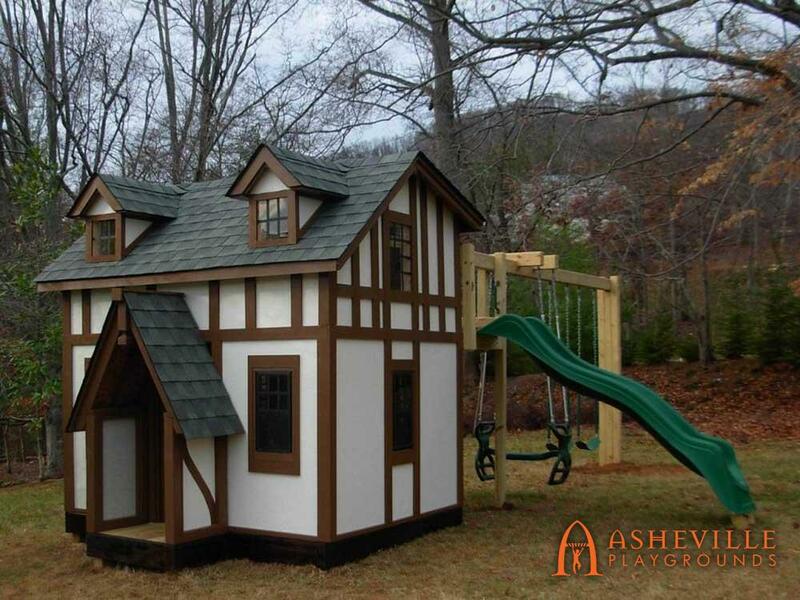 We love the challenge of bringing history and architecture to life. 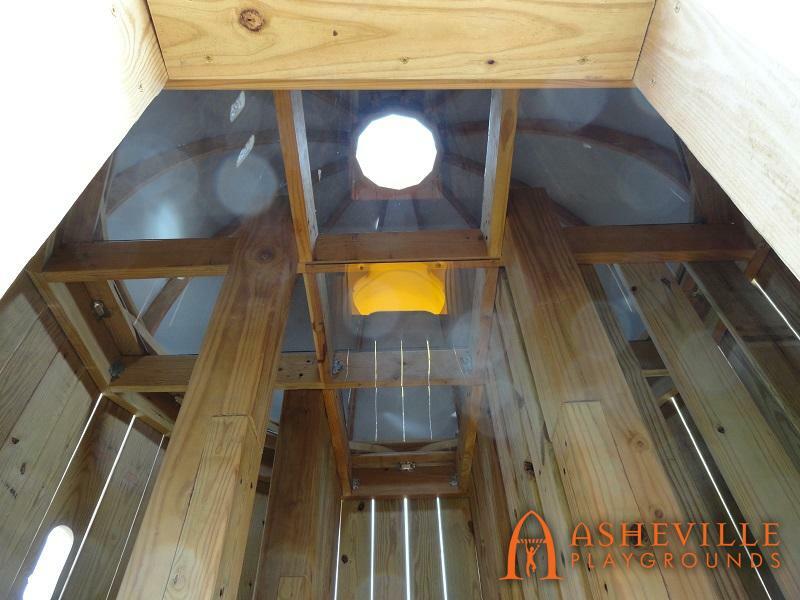 And although we typically build with wood, we don’t hesitate to research new materials when wood just won’t do. 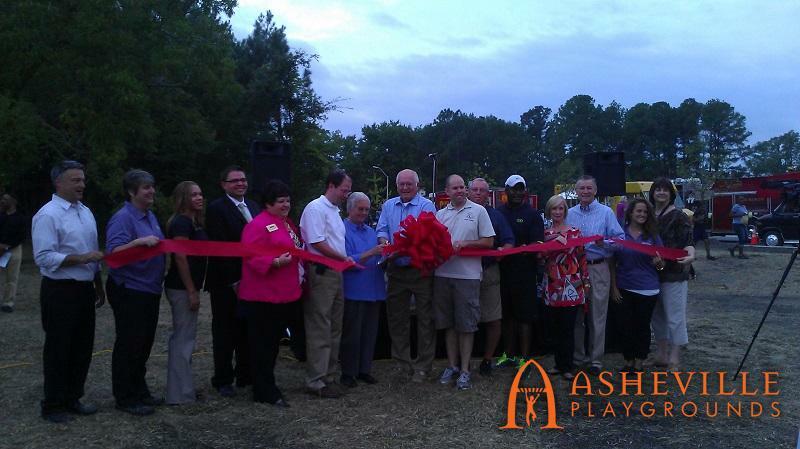 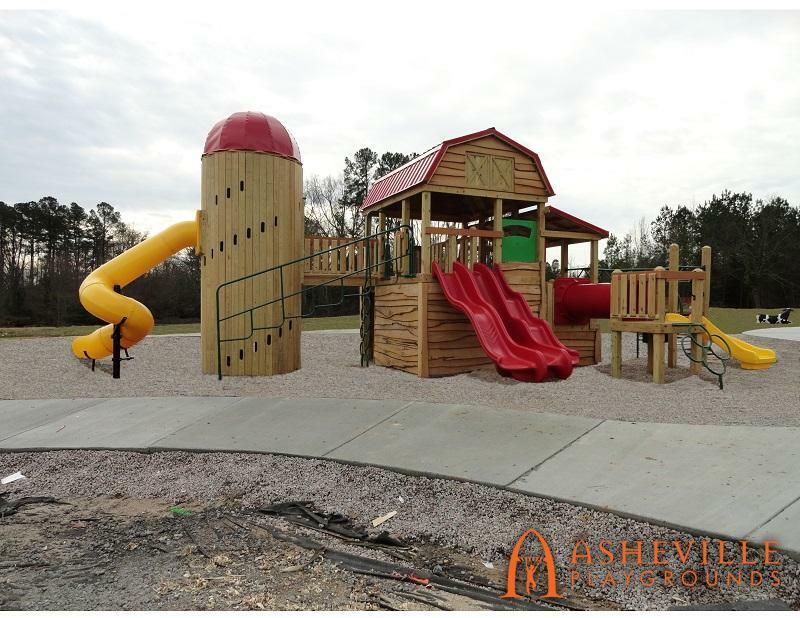 The town of Knightdale, North Carolina outside of Raleigh decided to revitalize their community. 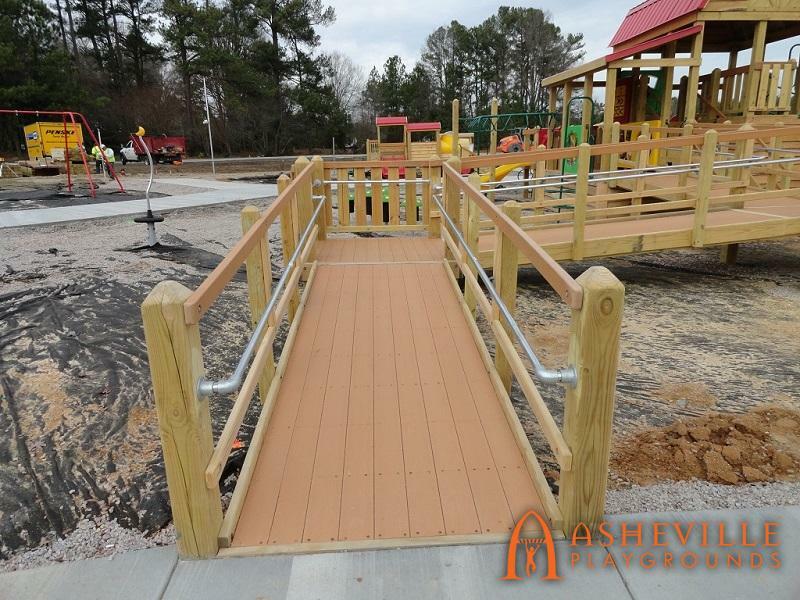 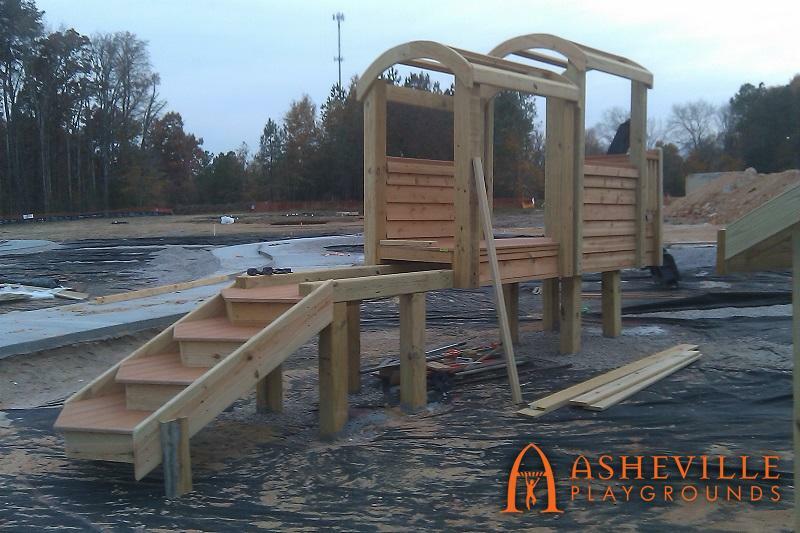 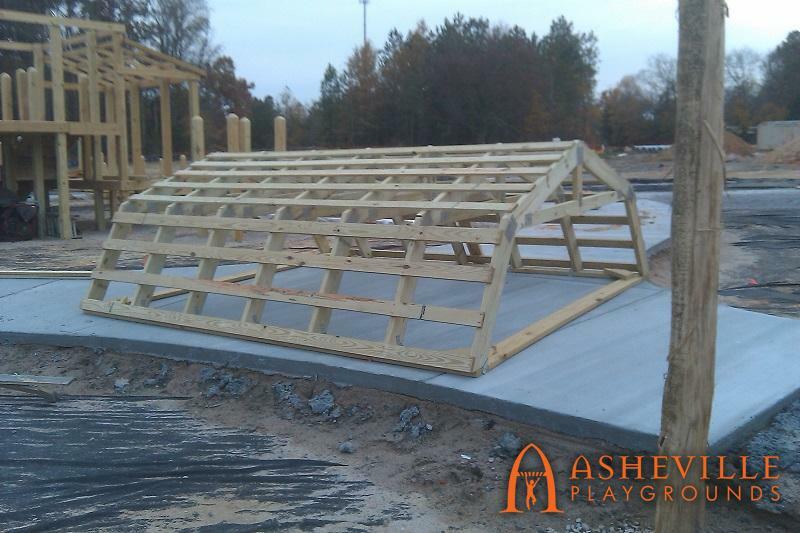 A company called CLH Design got in touch with us and asked for a large playground to add to the town’s amenities. 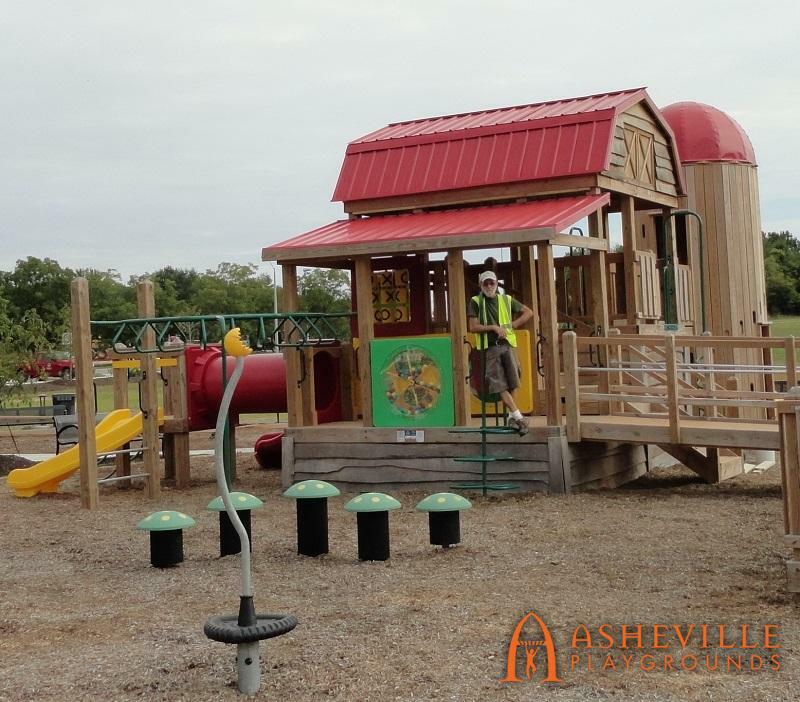 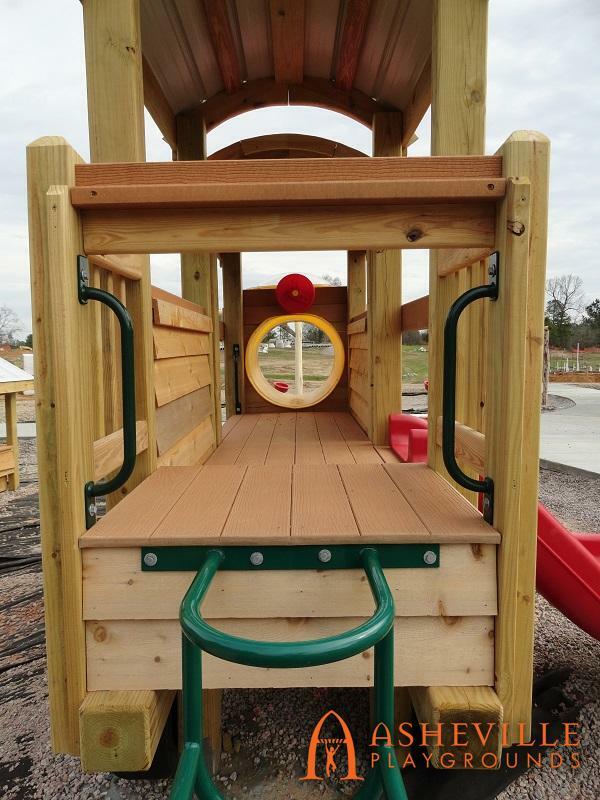 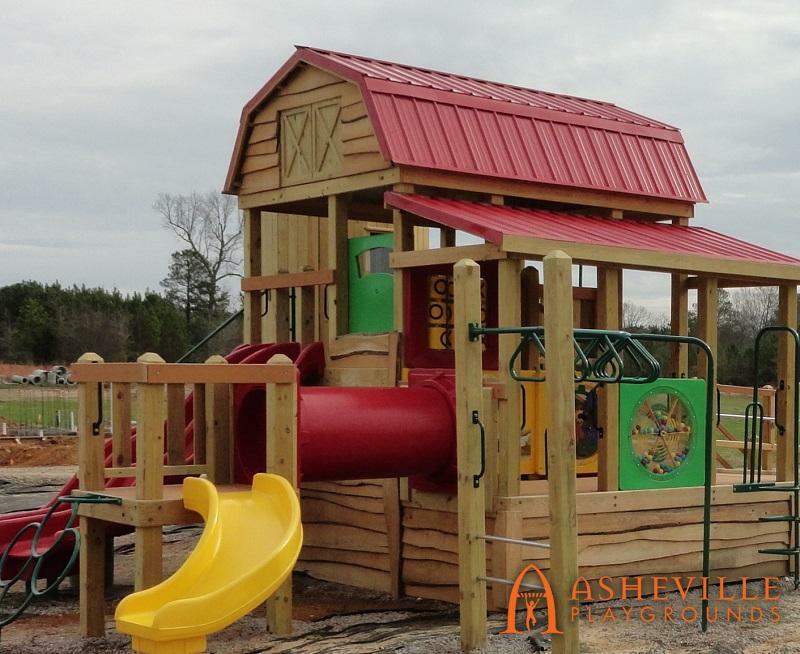 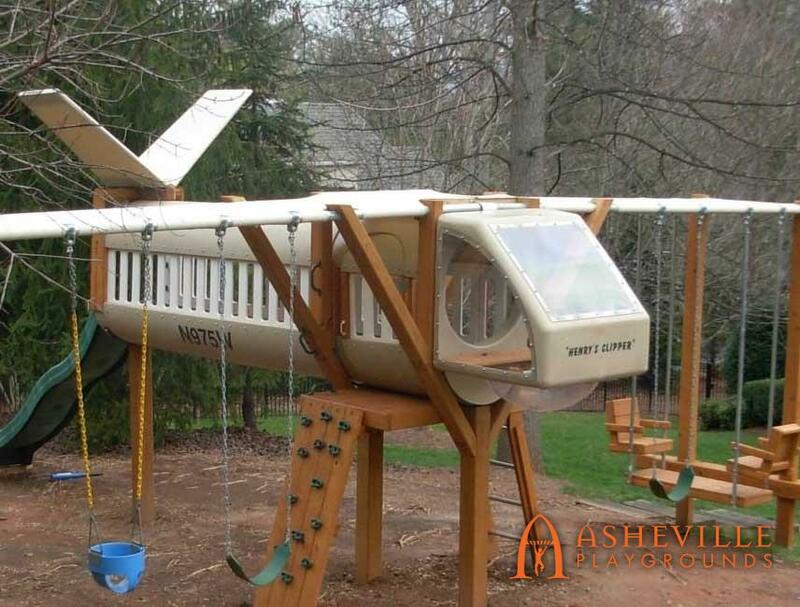 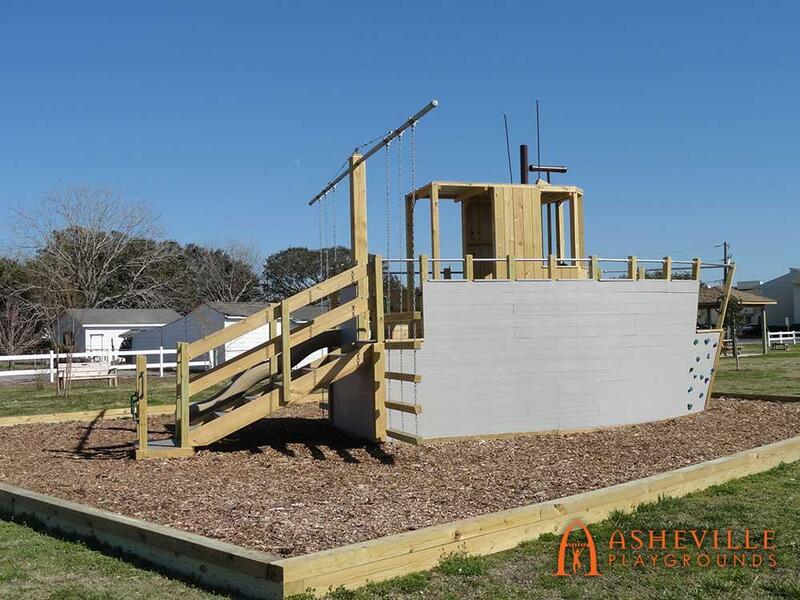 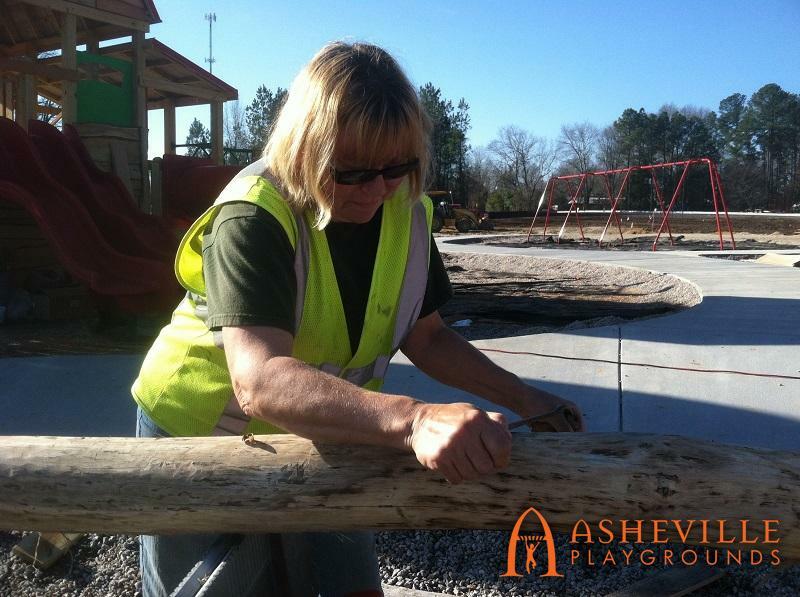 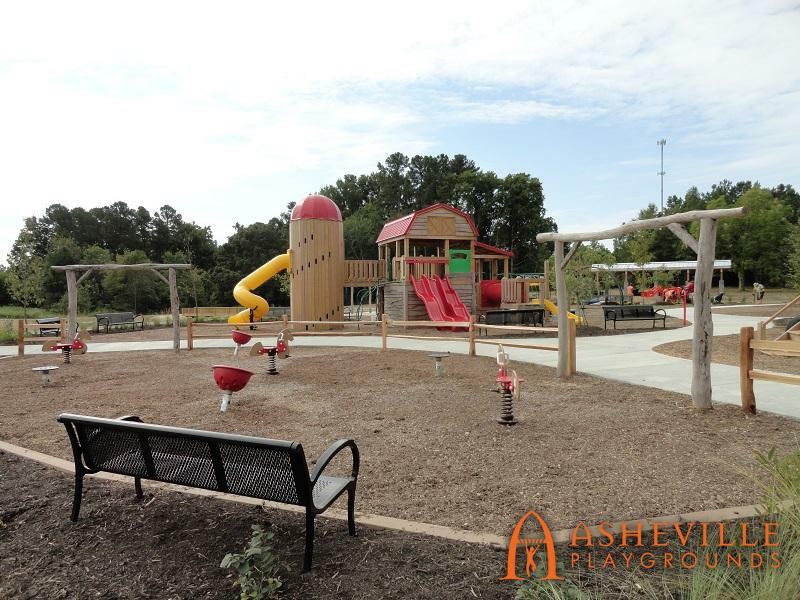 Using the agricultural history of the area, their ideas and Asheville Playground Co-owner Jerry Hajek’s elegant design, we created an incredible playground there enjoyed by many. 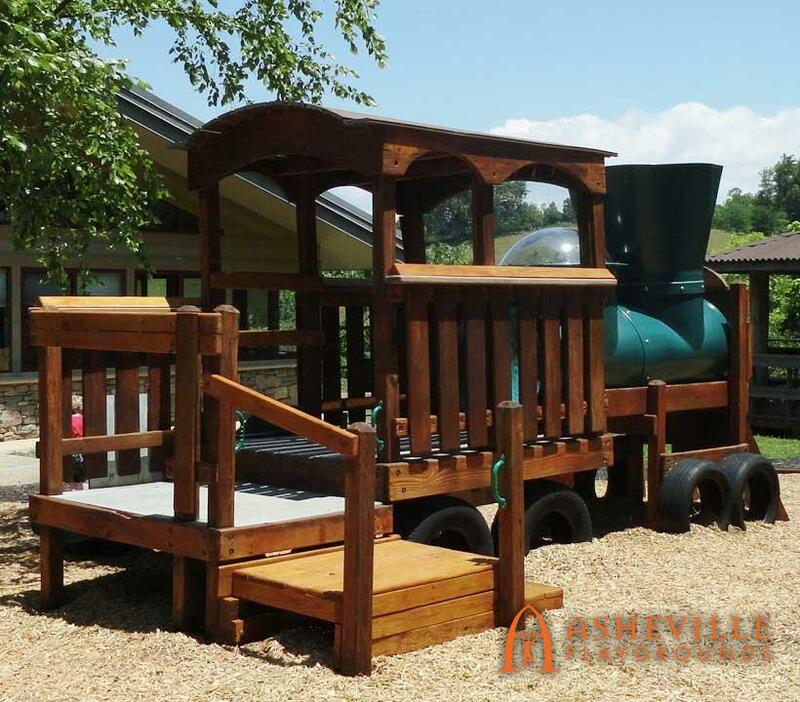 This playground has a barn and silo theme, with a train themed toddler play area, chicken coop, and of course Bessie the Cow! 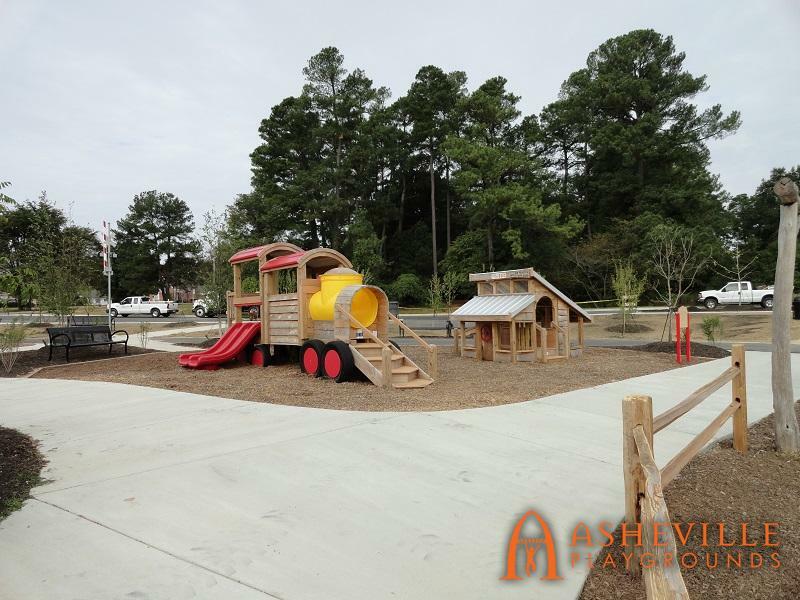 The playground is the talk of the town and folks travel for miles to visit the park. 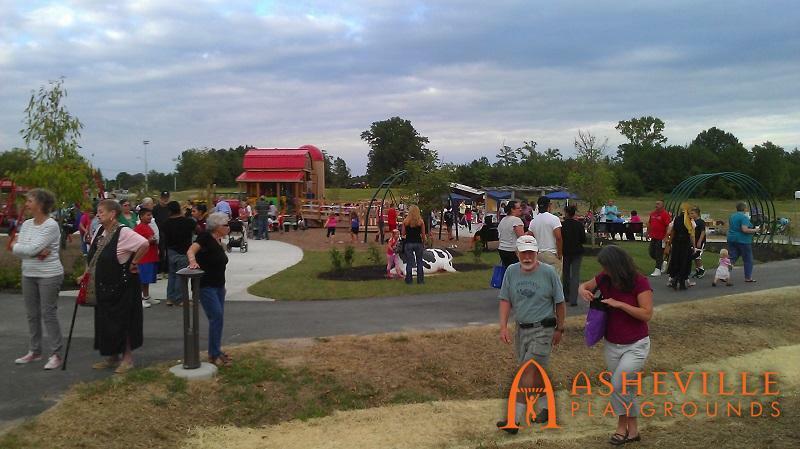 Along with the other amenities, the park is attracting parents, dog owners, food trucks and events. 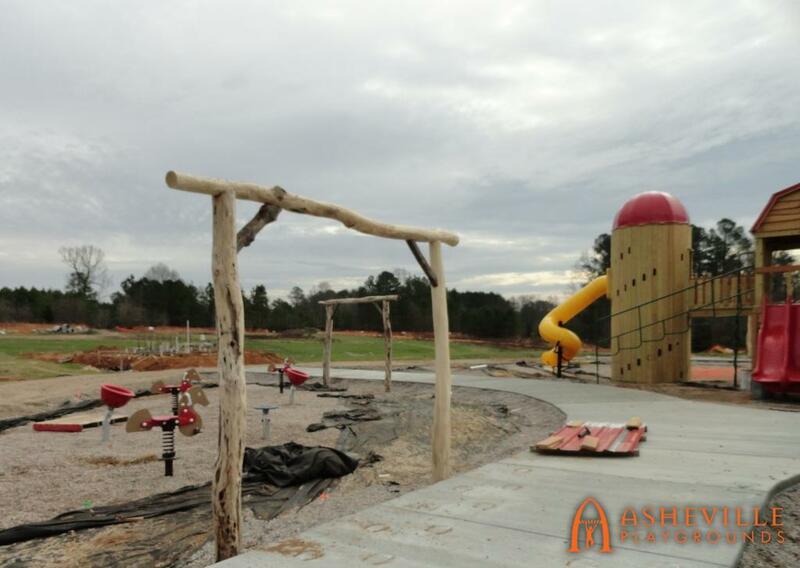 Knightdale plans to continue growing the park by adding an amphitheater, farmers market, arboretum and more. 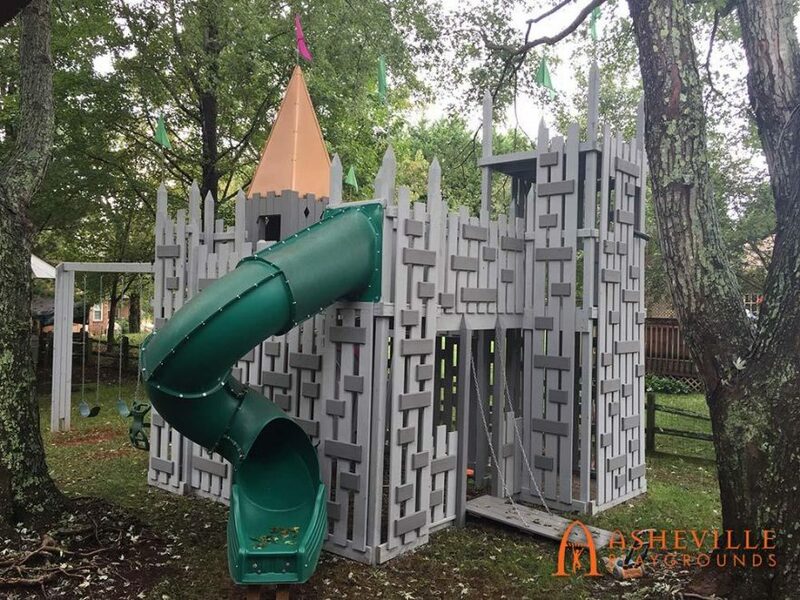 This is just an example of how a wonderful idea for a themed playground can truly bring in the community in spectacular ways. 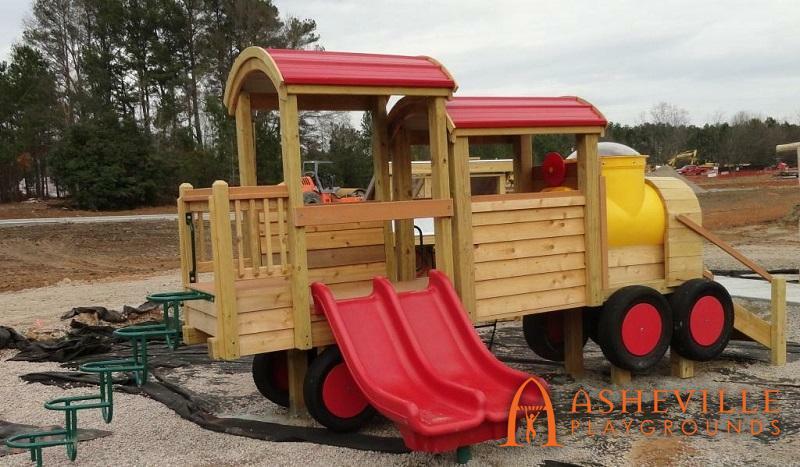 In the past we have built boats, trains and airplanes as well as castles and barns, and even mushroom cottages! 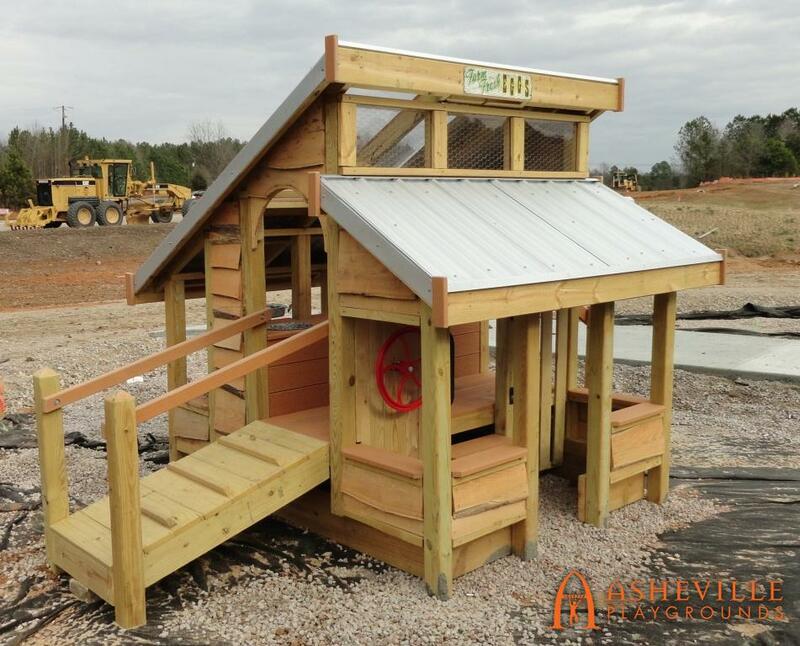 In addition to these themes we love to create replicas of larger buildings. 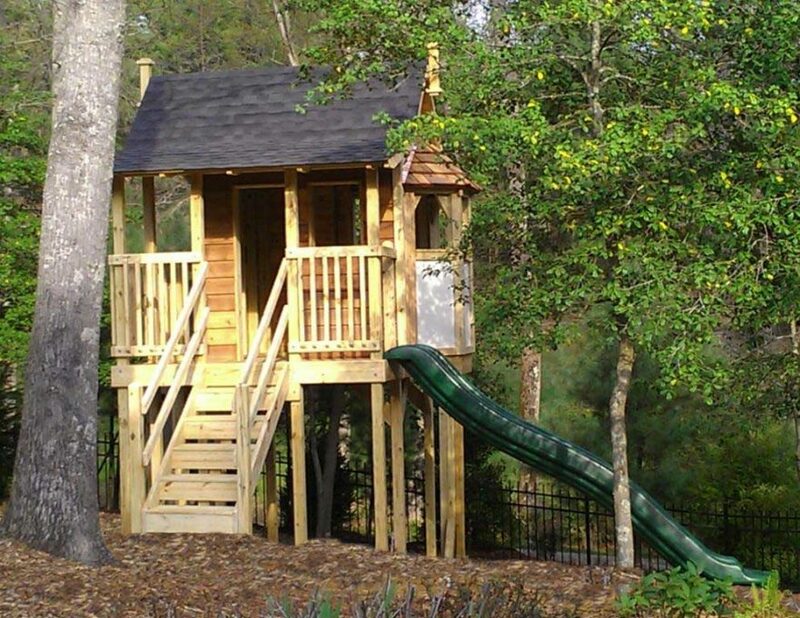 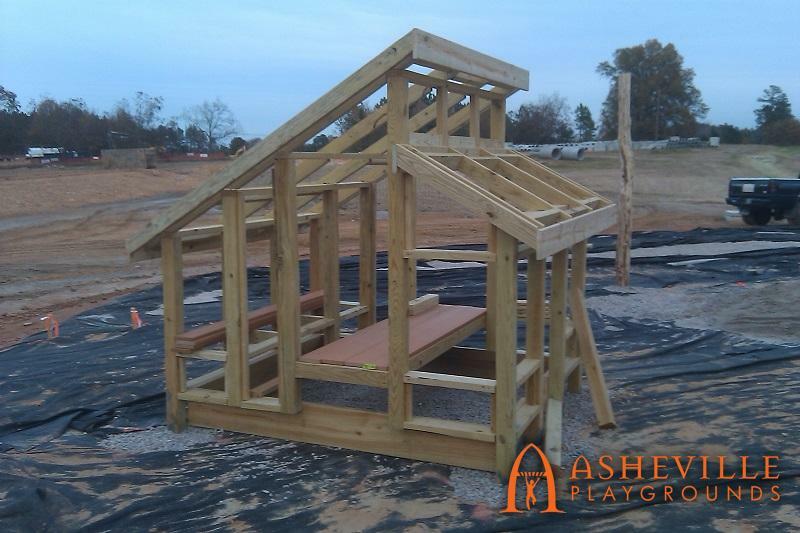 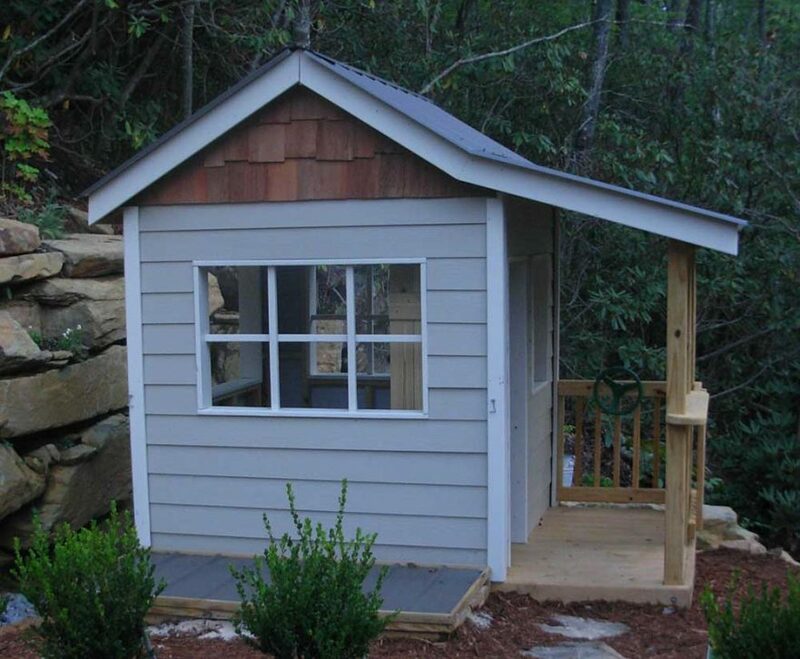 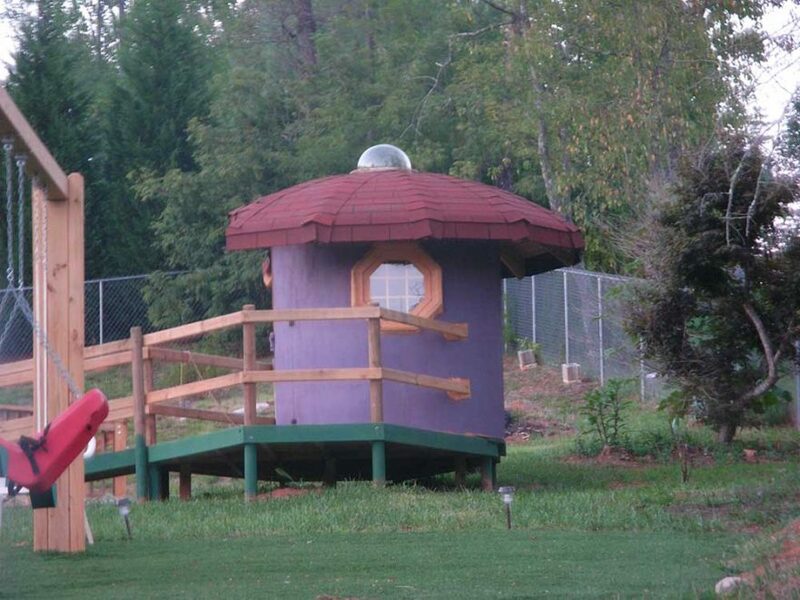 For example, we can build a playhouse in your backyard that mimics your home. 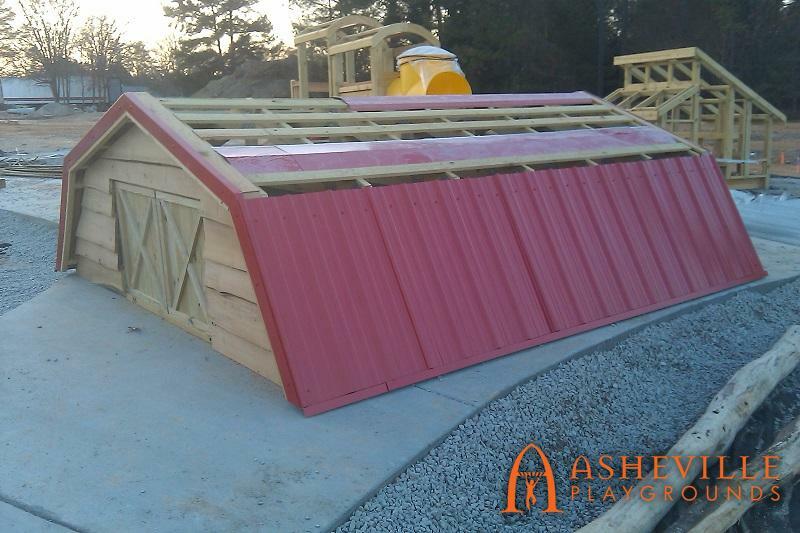 We’re also very fond of creating smaller play churches as a replica of the larger church building. View our themed gallery below and our full gallery here. 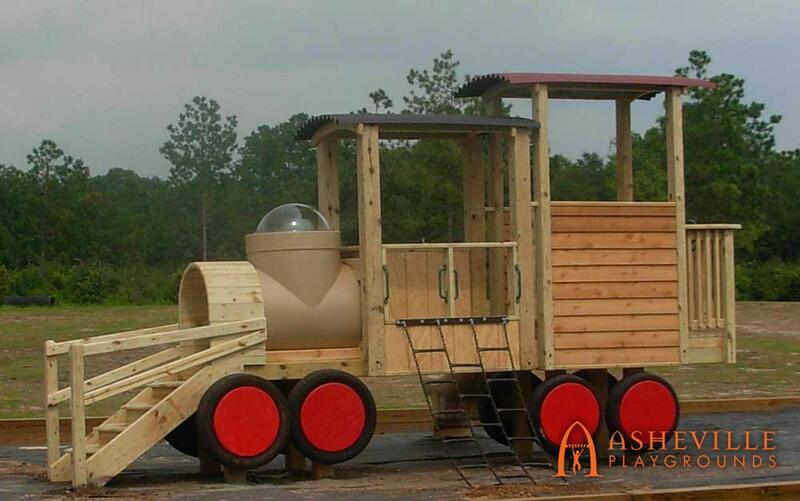 Then contact us with your ideas. 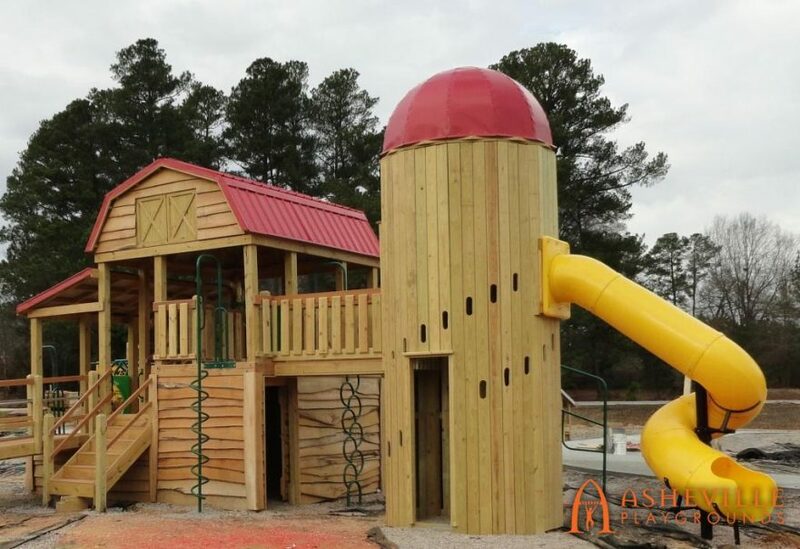 Working together we will create the theme of your dreams!